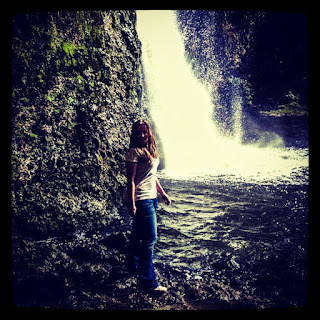 Love, Shaleya...: Livin' Da Vida Loca! Is it just me or is every year going more faster than the other? It's hard to keep up with time when most of it has been taken up with work and then only two days of freedom, but who's complaining? Oh yeah, hello by the way! WORK! Which has been great and very productive the last month, only just today I received praise from the head operational office based in Wellington for the work I've been doing the last month (umm WINNING! ); I've also been hitting the gym and recently took up Spin classes which has helped increase my fitness levels by so much that I'm hardly breaking a sweat! The last weekend would have to be one of the best out of this last month so far. 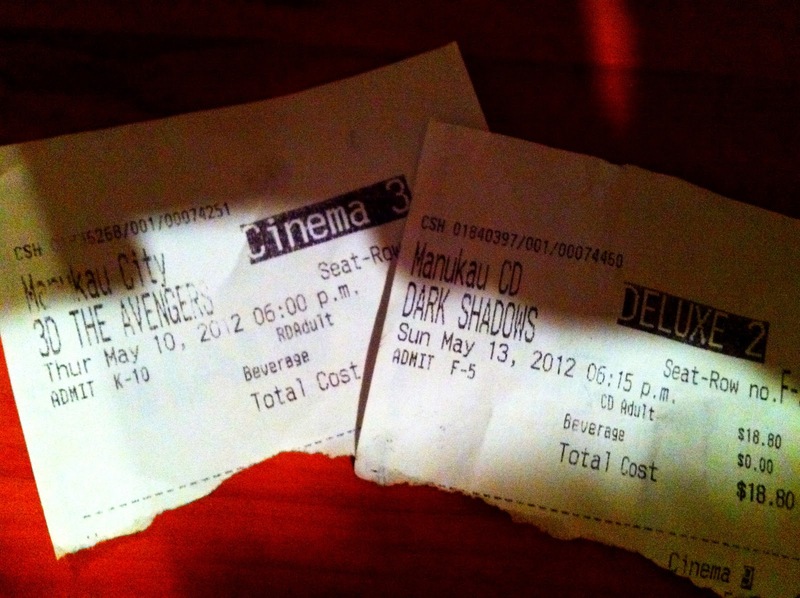 Last Thursday (OK not exactly the weekend), Andrei and I decided to treat ourselves to a movie and we were both desperate to see The Avengers which I must say was BRILLIANT! Ticket Stubs which I have a bad habit of holding onto. 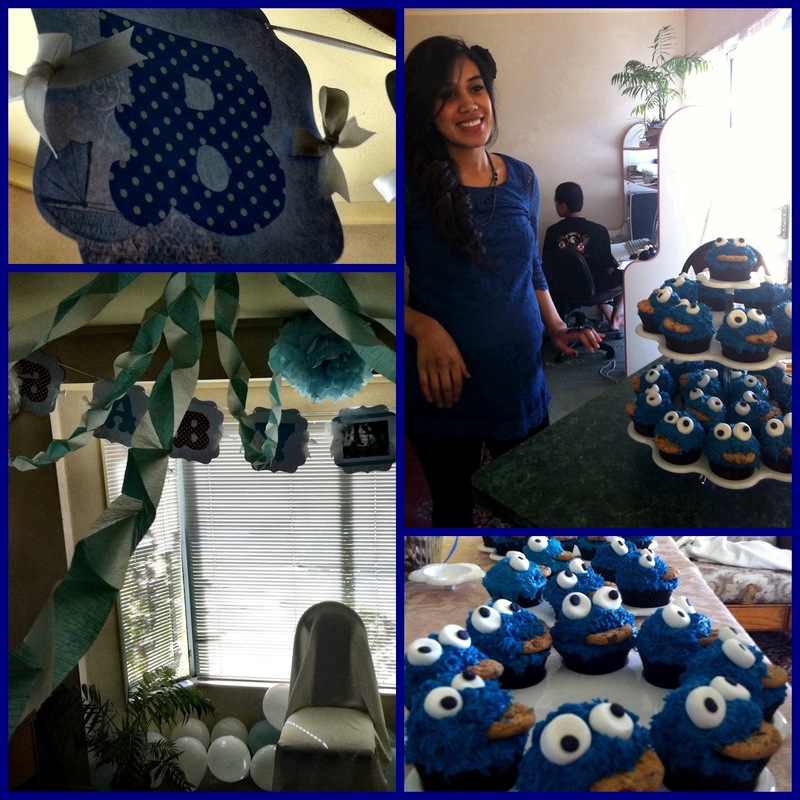 On Saturday my best friend and I went to one of our good friends' baby shower. The theme was blue as she (Grace) is expecting a baby boy in the next two months, she looked gorgeous and the shower was so much fun; Grace and her friend arranged an array of games and quizzes all revolved around babies e.g. one of the games we played involved one of the guests being blind folded and being baby fed (I happily volunteered!) and also being quizzed on how well you knew you're nursery rhymes, doing the best paper rip out of Grace side on and plenty more. It was was so much and I don't think I've laughed so much in so long! The highlight of the whole event though were the gorgeous Cookie Monster cupcakes which one of our school friend's made as she's slowly starting up her own cupcake business. Come Sunday, which everyone knows is Mothers Day, Andrei and I decided to do a double date with both our mum's and organised lunch at this fantastic little Mediterranean restaurant called the Casablanca Cafe. The food was delish and it was great catch up on both sides as we both hadn't seen our mothers in a few weeks. After all of that Andrei and I had nothing better to do but wait for Monday so we caught a late session of Tim Burton's newest movie, Dark Shadows, which stars Johnny Depp, Michelle Pfeiffer, Chole Moretz, Eva Green and Helena Bonham Carter. I absolutely love Tim Burton's movies I.E. Edward Scissor Hands, The Nightmare Before Christmas and Beetle Juice. Dark Shadows was everything weird, (gothic) and wonderful that you expect from his directing skills and it wouldn't have been as great without Johnny and Helena who are regulars in Tim's movies. 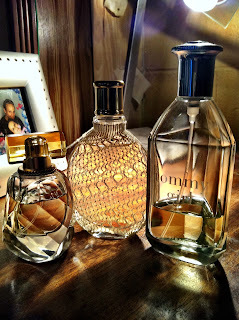 Anyway here's just a random photo of my favourite perfumes, happy Monday ladies!! !